Yesterday I received a lovely surprise. The postie brought me an RAK from Carolyn, an email list friend. 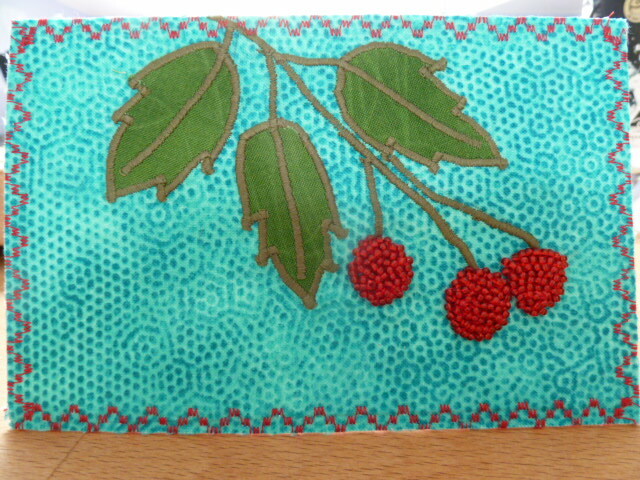 It’s a fabric postcard. Isn’t it lovely?